Glendale Heights, IL – October 14, 2014 – Offering a slew of proven products to two different audiences at overlapping events, ITW Commercial Construction, North America scored favorable impressions at the recent 33rd annual American Fire Sprinkler Association’s Convention and at METALCON. AFSA was conducted September 28-October 1 in Orlando and METALCON followed from October 1-3 in Denver. “Two different audiences but the same great results,” remarked Karen Kowalczyk, Marketing Communications Manager for ITW CCNA. “At AFSA, we spoke with many of our fire trade customers and had quite a few new people stop by our booth. Our Sammys® products continue to impress our customers and one of the highest compliments we received was from someone who uses Sammys because he can’t afford to have installation call backs on jobs. The Sammys Pole Tool and Sammys cracked concrete and seismic approved anchor trio attracted the lion’s share of attention at AFSA. Sammys products have earned a reputation for increasing efficiency and reducing time and labor costs. The Sammys Pole Tool, available in two telescoping sizes, is great for hard-to-reach places and replaces the need to set up and remove scaffolding, ladders, or lifts. The Sammys (for vertical applications), Sidewinder® (horizontal), and Swivelhead® (angled) anchor trio provide unprecedented flexibility to install straight-hanging system fixtures, lighting, and signs while eliminating rod bending and other time consuming steps. The ITW Red Head Trubolt+® seismic wedge anchors also were popular at AFSA since they are designed to resist static, wind, seismic tension, and shear loads for anchoring in cracked and uncracked applications. Available in carbon and stainless steel, they won audience approval for their ability to support nearly every environmental condition. As the leading manufacturer of world-class, value-added fastening systems for the metal construction industry, the Teks line from ITW Buildex® was on display at METALCON and responsible for traffic spilling out into the aisle. Teks® self-drilling screws, anchors, toggles, and other fastening systems for attachment to metal and wood have earned the trust of customers as industry-leading solutions for years. That endorsement was strongly in place throughout the show. Teks Stand-Off™ fasteners, SCOTS® Long Life Teks fasteners, and Dektite pipe flashing applications also stood out in the crowd at METALCON. The invention of Teks® self-drilling fasteners in 1967 established ITW Buildex as a value-added provider to the global construction market. Today its product portfolio includes Teks self-drilling screws, Sammys® threaded rod hangers, Dektite® flashing systems, E-Z Ancor® drywall anchors, and Dec-King® for wood deck construction. Proprietary Climaseal®, Climacoat® and Climaseal ACR® corrosion protection also are industry leaders. 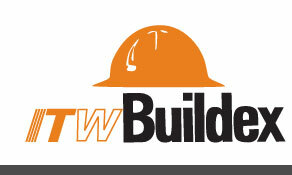 For more information, visit www.itwbuildex.com. ITW Commercial Construction, North America encompasses the brands Buildex®, Red Head®, and Ramset® with an overall history that dates back over 100 years to 1910. Within this history was the invention of the first “powder-actuated tool” in 1947 and the original self-drilling TEKS® screw anchor in 1967. Together, Red Head, Ramset, and Buildex work to find innovative, quality products for the construction industry in areas of concrete, drywall, steel fabricators, fire protection, plumbing, electrical and HVAC. For more information, call (800) 848-5611.